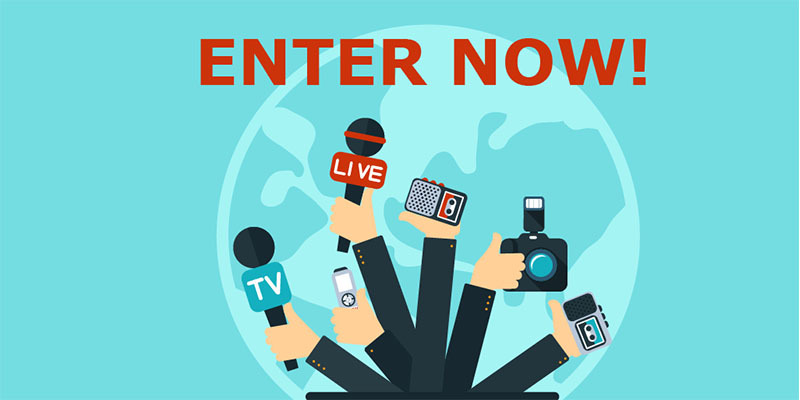 Open to journalists and production teams or designers who have written, displayed or broadcast on general insurance subjects in the last year, the awards aim to recognise the important contribution that journalists make in promoting a better understanding and awareness of general insurance issues. National, regional and trade journalists are eligible to enter 10 categories, each one carrying a prize of £800 for the winner. Judges will have the discretion to make a Highly Commended Award of £250. In order to help the judges understand the background of the article entered, journalists are required to submit a supporting statement of up to 150 words explaining why their article deserves to win. This will help to ensure that all factors are taken into consideration during the judging process. Open to any journalist who was responsible for researching, breaking and writing an important insurance news story. Open to national and regional journalists for the best all round article including the investigation, research and overall explanation of a general insurance subject that raises awareness for individual or business consumers of insurance. Open to trade journalists who have written an article, feature or news item including the investigation, research and overall explanation of a general insurance subject in the trade press. Open to any journalist starting to write or broadcast on insurance matters during the last year. Open to any journalist who has researched and developed the most informative and most engaging interview with an individual or profile of an organisation within the insurance industry. Open to any journalist, team or designer using visual material to enhance or tell an insurance related story. Open to any journalist who has written an in-depth, opinion-led piece that shapes or provokes debate in the insurance industry. Open to any journalist who has thoroughly investigated, researched and presented in any medium an insurance issue to increase the understanding of it. Open to any publication, team or journalist who has presented and run a campaigning issue in the insurance sector. Open to any journalist or media outlet who has used digital, social media, TV or radio or distributed content online via social channels to further the understanding of insurance to their audience. The judges will look for entries which raise awareness and understanding of general insurance subjects and help the audience to gain a greater insight into general insurance issues. Originality, style, and quality of research and investigation will also be assessed. All entries (except Most Promising Newcomer Award) require one general insurance article, broadcast recording, visual or campaign and a supporting statement to be provided. Any other supporting materials sent alongside the entries will be discounted. The Most Promising Newcomer Award requires two examples of work and must be accompanied by a supportive statement from their editor or producer (max 150 words). The Scoop of the Year Award requires the journalist to explain in their supporting statement how they achieved the scoop story through investigative journalism. The Best Investigative Journalist Award requires the journalist to explain their methodology, reasons and results. The Best Campaign Award requires explanation of the issue, why the campaign was created and the outcome. For the Best Digital or Broadcast Award we will accept more than one article as part of your submission to support your entry. Print, broadcast and online pieces produced between 7 February 2018 and 7 February 2019 are eligible for submission. The deadline for submissions is 5 March 2019. Only emailed submissions will be accepted, please attach your article(s) (including web and visual submissions) as a word or PDF document where possible. Please supply links to any broadcast entries. All entrants will be considered for the overall Journalist of the Year Award, which carries a prize of £1000 and is chosen by BIBA. Previous BIBA Journalist and Media of the Year Award winners include: Stephanie Denton, Post Magazine, Sarah Pennells, Freelance, Callum Brodie, Post Magazine, Anthony Hilton, Evening Standard, Sam Barker, Insurance Times; Bob Howard, BBC Radio Moneybox; Josephine Cumbo, Financial Times; Dan Moore, Which? ; Ellen Bennett, Insurance Times; Stephen Womack, Mail on Sunday; Jonathan Swift, Post Magazine; James Daley, The Independent, Yvette Essen, Daily Telegraph and Sally Hamilton, Mail on Sunday. I do hope you will take the opportunity to enter our awards and that you will be able to join us at the awards ceremony to be held at lunch time on 25 June 2019 in central London.